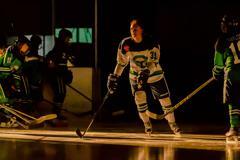 “Max represents the Hampton Roads Whalers way to perfection”, stated Whalers owner Patrick Cavanagh. 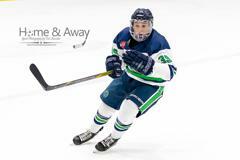 “He is always the hardest working player on the ice whether in practice or games, is team first and lastly has improved his game tremendously during his 3 seasons with the Whalers. As an early commit to Lebanon Valley, it won’t take long for Max to become a favorite of coach Parsons. He has earned every step- big pride and happiness for him and his family on his advancement”. 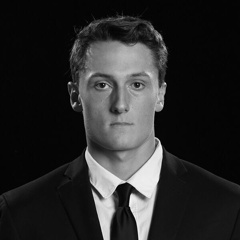 The Hampton Roads Jr. Whalers are proud to announce that 1998 forward Max Loga from Tawas City, MI has committed to playing college hockey in 2019 for the Lebanon Valley College Flying Dutchman. Loga, in his 3rd season in the blue and green, has posted 3 goals and 5 assists this season, good for 8 points in 17 games. In his 3 seasons in Hampton Roads, Loga has competed in 114 games, tallying 87 points on 37 goals and 50 assists. Loga notched 16 points in 49 games last season en route to winning the 2017-18 USPHL Premier championship. 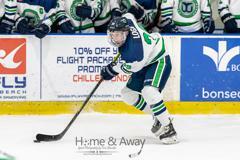 “Max is one of the hardest working players that I have had the pleasure to coach”, stated Whalers head coach Rod Taylor. “His work ethic is very relentless and quite admirable. He is very dedicated to the game and doing all that he can to make himself and his team better. He is a solid player that exemplifies what being a Whaler is all about. Max is one of those players that will step up and bring his all in any given game situation. He will be a great contributor to Lebanon Valley and a great representative of Whaler Nation hockey”. “I came to the Whalers organization in 2016. The two selling points that were drilled in by Pat Cavanagh and the coaching staff including Rod Taylor, Bard Jones and Kody Rodriguez, was that I was going to compete for a national championship and I was going to have an opportunity to play college hockey”, stated Loga. “Well, I became a national champion last year with my Whaler brothers, and that became my number one hockey highlight of my career thus far. However, to make Pat and the coaching staff men of their words, I had one more thing to accomplish. Thank you to the entire Whalers organization and my incredibly family, I have been provided the opportunity and made the decision to accept an offer and head north to Lebanon Valley College to play for Coach Don Parsons. 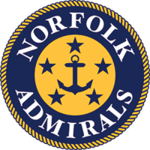 I will be a Flying Dutchman come next fall, but before I dawn the blue and yellow, we have some unfinished business to take care of here at Hampton Roads”. LVC is located in Annville, PA and competes in the NCAA's United Collegiate Hockey Conference (UCHC). Loga becomes the Whalers 1st commit of the 2018-19 season and joins teammates Brandon Osmundson (Utica), John Moncovich (Utica), and Jaxon Rutkowski (Utica) as committed Whalers. He will join former Whalers MVP TJ Sneath at LVC.